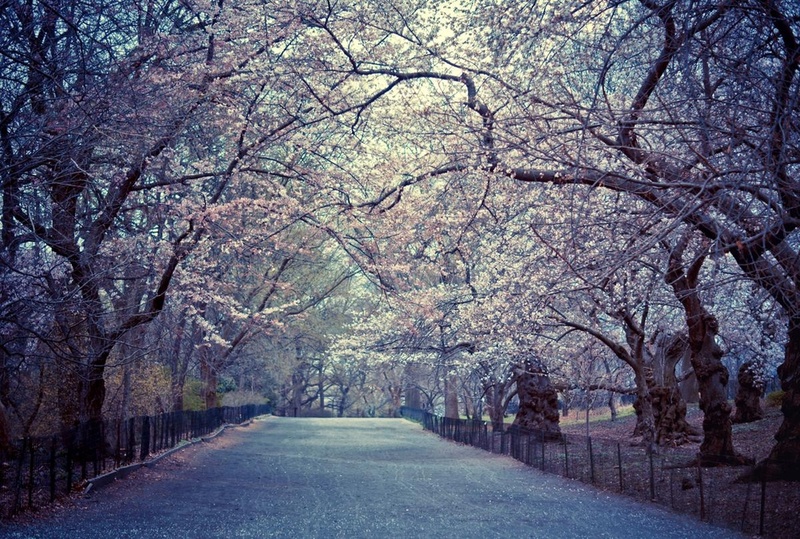 Beautiful pink and white cherry blossoms sit on tree branches that stretch across the Bridle Path in Central Park located in New York City. Vivienne Gucwa is a photographer and writer who lives on the Lower East Side of Manhattan. A major focus of her work revolves around trying to document the transient quality of New York City's urban and natural landscapes, architecture and its inhabitants. 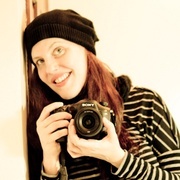 Her work has been featured in a variety of publications online and in print, as well as on television.